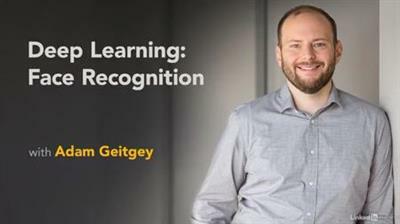 Deep Learning Face Recognition | Free eBooks Download - EBOOKEE! Posted on 2018-11-17, by everest555. Face recognition is used for everything from automatically tagging pictures to unlocking cell phones. And with recent advancements in deep learning, the accuracy of face recognition has improved. In this course, learn how to develop a face recognition system that can detect faces in images, identify the faces, and even modify faces with "digital makeup" like you've experienced in popular mobile apps. Find out how to set up a development environment. Discover tools you can leverage for face recognition. See how a machine learning model can be trained to analyze images and identify facial landmarks. Learn the steps involved in coding facial feature detection, representing a face as a set of measurements, and encoding faces. Additionally, learn how to repurpose and adjust pre-existing systems. 2011-11-18Stan Z. Li, Anil K. Jain, "Handbook of Face Recognition"
No comments for "Deep Learning Face Recognition".